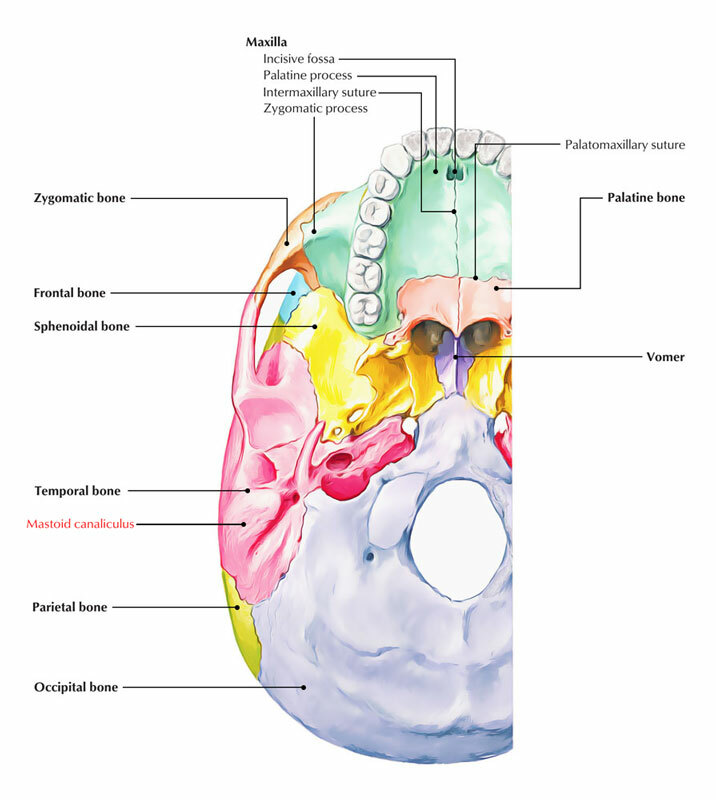 Mastoid canaliculus refers to a tiny channel opening inside the lateral wall of the jugular fossa of the temporal bone and traveling into the temporal bone. In order to leave via the tympanomastoid fissure the auricular division of the vagus nerve travels through it. The mastoid canaliculus a.k.a. canaliculus mastoideus, begins with the minute aperture within the anterior portion of the jugular fossa, travels towards the tympanomastoid fissura as well as ends through the opening of mastoid canaliculus inside this crevice referred to as foramen canaliculi mastoidei. Primary – The squamous as well as tympanic parts undergo two phases of development and are created on the basis of connective tissue. Secondary – The mastoid as well as petrous parts undergo three stages of development and are created on the basis of cartilage. The canals of the temporal bone function as a track for vessels as well as nerves with the exception of musculotubal canal.